Sea buckthorn oil is an essential oil extracted from the berries or seeds of the sea buckthorn plant. Contrary to what its name suggests, this plant does not grow on the sea floor, or anywhere near the ocean. In fact, it is a small shrub that grows most predominately in the northwest region of the Himalayas at high altitudes. This plant has been used for thousands of years in ancient Chinese, Greek, and other European medicine to help aid digestion, promote blood circulation, and even reduce coughing. Here are just a few of the many benefits of sea buckthorn oil for health and beauty. When applied topically, sea buckthorn oil, berries, or berry concentrate has been shown to effectively improve the condition of the skin and even decrease the appearance of acne. This oil can increase skin elasticity and hydration, helping to reduce the appearance of aging including fine lines and wrinkles. It is also an excellent tool for preventing and relieving sunburn, reducing the appearance of eczema, stretch marks, and works as an anti-inflammatory agent to decrease rosacea symptoms. Due to its high fatty acid content, sea buckthorn oil can help inhibit the storage of fat in the body, encouraging your system to burn excess fat stores. The liver is one of the most essential organs in the body, responsible for important toxin removal, food digestion, and energy storage. Unfortunately, many cancers can develop in the liver and quickly spread to other parts of the body. One animal study showed that sea buckthorn oil extracted from berries has significant hepatoprotective benefits and is effective in reducing the effects of aflatoxins in the liver. Sea buckthorn oil also possesses many other amazing benefits related to cancer prevention such as phytonutrients and anti-inflammatory properties. Antioxidants are essential for reducing and neutralizing free radicals that can cause infection and illness. Sea buckthorn oil is an essential source of these antioxidants and can boost immune system function. Consumed internally in a supplement form, this oil protects the body from parasites, bacteria, and viruses, helping to keep you healthy and prevent chronic inflammation and infection. Adrenal fatigue is a serious health concern that can prevent you from having full energy levels and lead to severe burnout. To begin the road to recovery, it is essential that you fill your diet with hearty sources of omega-3s and omega-7s. Sea buckthorn oil is a great source for both. Keep in mind that is essential to combine regular sea buckthorn oil consumption with a healthy diet including lots of fish and fish oils, and a decrease in processed foods that are high in sugar, as well as excessive caffeine consumption. Exercise at least three times per week and eliminate sources of stress in your life. Sea buckthorn oil has been reviewed in numerous studies as a potential means of maintaining normal insulin levels and regulating blood sugar. One particular study, Published in the European Journal of Clinical Nutrition found that sea buckthorn oil is a viable means of preventing dangerous blood sugar spikes following meals in people with type 2 diabetes. Sea buckthorn oil has been shown to help prevent various forms of cardiovascular disease including high blood pressure, blood clots, and even heart attacks. Numerous studies showed that the effects were particularly evident in those previously suffering from poor heart health. 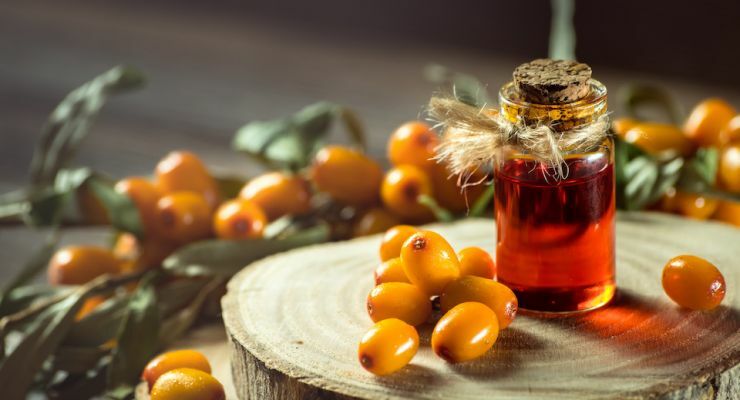 It is important that you purchase high-quality sea buckthorn oil labeled as “supercritical CO2-extracted sea buckthorn oil” since the extraction process is essential in ensuring the quality of the finished product. This method of extraction from berries or seeds preserves the most nutrients when compared with other types of processing. Taking sea buckthorn oil in capsule form is the most ideal option as you can measure out the dosage and ensure that it gets into your system. You can also eat sea buckthorn raw, or apply the oil topically. It is often available in lotions, juices, or jams. Just be sure that you are purchasing products that are made from pure sea buckthorn without any undesirable added ingredients. Hey Buddy!, I found this information for you: "Top 7 Benefits of Sea Buckthorn Oil (I really like #4)". Here is the website link: https://www.tropicalhealth.com/top-benefits-sea-buckthorn-oil/. Thank you.